Department of Pharmaceutical Chemistry, Faculty of Pharmacy, Airlangga University, Surabaya, Indonesia. ABSTRACT: Standardization is a process involving various chemical analysis methods based on pharmacological data involving general physical and microbiological analyzes aimed at the safety of a natural extract. To obtain the correct result, the standardization step is preceded by method validation. Quercetin can be obtained from the leaves of soursop (Annona muricata Linn. ), which use for treatment fever, diarrhea, anti-convulsive, antifungal, antimicrobial, gout, itching, and flu. Determination of quercetin in soursop leaf extract using TLC-Densitometry must be validated by testing selectivity, limit of detection (LOD), limit of quantification (LOQ), linearity, precision, accuracy, and range. Densitometry scanning of the plates silica gel 60 F254 directly at 265 nm was used for analysis of quercetin. The result of selectivity test was 1.53 (>1.5) with mobile phase toluene: ethyl acetate: formic acid (4: 3: 0.4; v/v/v), limit of detection (LOD = 0.018 µg), limit of quantification (LOQ = 0.060 µg), linearity y = 9387.3x – 767.39 (r = 0.9996 and Vxo = 1.9%), Coefficient of Variation (C.V.) of precision 1.906525% and the percent recovery of 96.6% ± 8.26%. The validated and development method was applied for standardization of quercetin in soursop leaf extract and resulted in the quercetin assay in soursop leaf extract was 1.288% ± 9.996% (w/w). INTRODUCTION: Standardization is a process involving various chemical analysis methods based on pharmacological data involving general physical and microbiological analyzes aimed at the safety of a natural extract 1, 2. To have a good result, there must be a relationship between the quality of the raw materials, in the process materials and the final product; it becomes necessary to develop reliable, specific and sensitive quality control methods using a combination of classical and modern instrumental analytical methods. Standardization is an important measure to ensure quality control of herbal medicine3. Standardization of herbal medicines is the process of determining the levels compared to the specific standards or characteristics, constant parameters, qualitative and quantitative values that bring true quality assurance, efficacy, safety, and reproducibility. Therefore standardization is a tool in the quality control process 4-7. Standardization of drugs means the confirmation of identity and the determination of quality and purity 8. Standardization here emphasizes the determination of the compound content responsible for pharmacological effects, which is a process of ensuring good quality and standardization for medicines and herbal products 1, 9. To obtain the correct result, the standardization step is preceded by method validation. Validation of analytical methods is the assessment of an analytical method based on laboratory experiments to demonstrate that the parameters of accuracy, precision, specificity/selectivity, detection limits (LOD), quantification limits (LOQ), linearity, and range meet requirements for users 10. In the quantitative analysis of components and substances of medicinal materials derived from biological samples such as those in plants must meet the parameters of accuracy, precision, specificity/ selectivity, detection limits (LOD), quantification limits (LOQ), linearity, and range 11. Quercetin is an active compound that can be obtained on soursop leaves (Annona muricata, Linn.) and widely used as an alternative treatment for fever, diarrhea, anti-seizure, anti-fungal, antiparasitic, antimicrobial, lumbago, gout, itching, anticancer, anticonvulsant, antidiabetic, anti-inflammatory, anti-arthritic and flu traditionally 12-20. The determination of quercetin content can be determined by Spectrophotometric, HPLC, RP-HPLC method 21-25. The TLC-Densitometry method is the primary choice for the analysis of chemical components derived from plants because it has the flexibility to detect almost all compounds, even some inorganic compounds 26. Systematic approaches and well-designed methodologies for standardization of raw materials and herbal preparation formulations are now widely developed. Given the growing interest in herbal medicine, standard methods of herbal medicine are developed and used in different formulations 26. Instrument: Analytical Scales (O Haus Pioneer), Rotary Vacuum Evaporator (Heidolph Laborota 4000), 20 × 10 × 5 cm3 chromatography chamber (CAMAG), Densitometer (Shimadzu Dual Wavelength Chromato Scanner CS 930), UV CAMAG Lamp, Capillary Pipes, and Common Glass Tools used in the chemical laboratory analysis. Chemicals: The soursop leaves (Annona muricata, Linn.) were collected from the Purwodadi Botanical Garden, East Java and were determined by the Indonesian Institute of Sciences UPT of the Purwodadi Botanical Gardens Conservation Center. Quercetin (pharmaceutical grade, Sigma-Aldrich), ethanol pa (Merck), technical acetone, ethyl acetate pa (Merck), toluene pa (Merck), formic acid pa (Merck), methanol pa (Merck), and Silica Gel TLC 60 F254 (Merck). Making Simplicia: The soursop leaves (Annona muricata, Linn.) that have been washed, drained and dried by air-dried in the open air with no direct sunlight, approximately at room temperature of 25-30 °C for 1 week. Samples that have dried in a blender and sieved to form a rather coarse powder. Making Extract: The 0.65 kg soursop leaf Simplicia was extracted using technical acetone (1:10) in the macerator for 24 h with an occasional shake. Remaceration is at least twice, with the same type and amount of solvent. The extracts were concentrated using a rotary vacuum evaporator at temperatures between 60 - 70 ºC and concentrated extracts. Determination of Water Content: Weigh carefully 1-2 grams of simplicia and extract in a covered porcelain crust that has been preheated at 1050 C for an hour and has known the constant weight. The material in the exchange rate is leveled by shaking the exchange rate, dried at 105 ºC for five hours, weighed. The step is repeated until the weight of a constant heating product is obtained (the difference of weighing 0.25% or not exceeding 0.5 mg). Preparation of Quercetin Standard Solution: Standard solution of parent quercetin was prepared in ethanol p.a 1000 μg/ml. A standard solution of quercetin (60 - 600 μg/ml) was prepared in an ethanol solvent p.a. Determination of Selected Wavelength: In the TLC plate, bottles of soursop leaf extract (Annona muricata Linn. ), quercetin solution, soursop leaf extract (Annona muricata Linn.) were added to quercetin solution. Next observed the spectra in the wavelength region of ultraviolet. Selectivity: Bottled two μl quilled standard quercetin solution quercetin 300 μg/ml, a solution of 300 mg soursop leaf extract (Annona muricata, Linn.) in 10.0 ml ethanol p.a, 1.0 ml solution of sample solution which has been additions with 1.0 ml of standard quercetin 300 μg/ml on 60 silica gel TLC plate F254. Eluate of TLC plate with mobile phase toluene: ethyl acetate: methanol (4:0.5:0.5), toluene: ethyl acetate: formic acid (7:3:1), toluene: ethyl acetate: formic acid (4:3:0,4) then observed its chromatogram with Densitometer and calculated its degree of resolution (Rs). Linearity: Bottled two μl standard solution of quercetin 90-500 μg/ml on plate 60 silica gel TLC 60 F254. 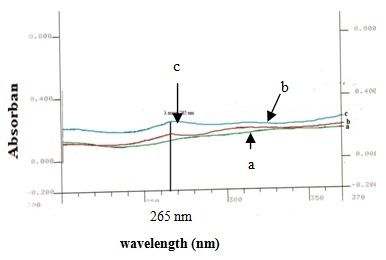 Elution of the TLC plate with mobile phase toluene: ethyl acetate: formic acid (4:3:0.4) and then observed the area at a selected wavelength with Densitometer. Precision: Bottled two μl standard solution of 200 μg/ml quercetin some of the bottling points on the 60 F254 silica gel TLC plate. Elution of the TLC plate with mobile phase toluene: ethyl acetate: formic acid (4: 3: 0.4). Observed area of the selected wavelength using Densitometer then calculated the mean area, Standard Deviation (SD), and Coefficient of Variation (KV). Accuracy: One series of quercetin with a weight increase of 80-120% (2.4 mg, 3.0 mg and 3.6 mg), added 0.5 ml, 1.0 ml, 2.0 ml, 3.0 ml, 4, 0 ml of 1.5 grams of soursop leaf extract (Annona muricata Linn.) in 50.0 ml ethanol p.a. It is then bottled on the silica gel 60 F254 TLC plate of two μl. Elution of the TLC plate with mobile phase toluene: ethyl acetate: formic acid (4: 3: 0.4). The measured area at a selected wavelength and determined (%) Recovery. Determination of Quercetin Levels in Extracts: From one ml of 300 mg soursop leaf extract (Annona muricata Linn.) in 10.0 ml ethanol p.a. Then it was added that 1.0 ml of quercetin standard solution with increased concentration (90-500 μg/ml), was bottled on the silica gel 60 F254 TLC plate of two μl. Elution on the TLC plate with mobile phase toluene: ethyl acetate: formic acid (4: 3: 0.4). 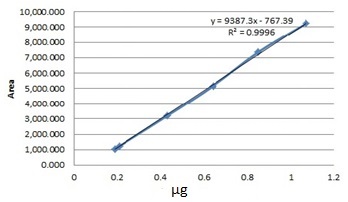 Measured area and determined based on the calibration curve of the quercetin standard solution. Extract Soursop Leaf (Annona muricata Linn. ): From 2.I kg (wet weight) soursop leaves (Annona muricata Linn.) obtained 650 g of dried leaves (31.0%). From 650 g of dried leaves macerated with 12 liters of acetone and after concentration with rotary vacuum evaporator obtained 53.7189 g of soursop leaf extract (Annona muricata Linn.) (8.26%). Determination of Water Content: The water content in soursop leaf (Annona muricata Linn.) is 13.78 ± 0.2060% (w/w). While the moisture content of soursop leaf extract (Annona muricata Linn.) is 8.38 ± 0.0907% (w/w). Determination of Selected Wavelength: From Fig. 1, the selected wavelength on the determination of quercetin levels is 265 nm. Selectivity: Selectivity test results determined from the value of the degree of resolution can be seen in Table 1. By looking at the chromatogram Fig. 2 and the degree of resolution Table 1, a toxic toluene phase is chosen: ethyl acetate: formic acid (4: 3: 0.4) because of its resolution degree ≥ 1.5 27, 28. LOD and LOQ: The regression equation of quercetin solution is 60 - 500 μg/ml, y = 10492x - 152.99 y and S.D of ethanol p.a p.a is 63.4825. Linearity: Linearity test results obtained y = 9387.3 x-767.39 (r = 0.9996), which can be explained there is a linear relationship between quantity quercetin with the area. Precision: The quercetin solution of 213.6 μg/ml was bottled eight times with a two-μl bottling volume with a spacing of 1 cm each on the silica gel 60 F254 TLC plate. Precision test results obtained the average area of quercetin is 3129.575 with Coefficient of Variation (C.V) = 1.906525% (C.V. requirement <2%) 27-28. Accuracy: The accuracy of the yield (%) recovery of quercetin by adduct can be seen in Table 2. Retrieved (%; w/w) recovery 96.6 ± 7.99 (required for biological samples 80-120%) 27-28. Determination of Quercetin Levels in Extracts: After obtaining optimal validation conditions, it was applied to standardize the determination of quercetin content in soursop leaf extract Table 3. Standardization on the determination of quercetin content in soursop leaf extract obtained 1.288 ± 0.1287% (w/w). DISCUSSION: The choice of quercetin wave-length was obtained at 265 nm, another researcher reported 266 nm 21. This wavelength difference of one nm can be considered the same. Selectivity test aims to determine the phase of motion selected with the parameter of the degree of resolution. In this study selected phase of motion was toluene: ethyl acetate: formic acid (4: 3: 0.5), because the degree of resolutions was > 1.5 27-28. Other researchers used the mobile phase toluene: ethyl acetate: methanol (4: 0.5: 0.5) obtained a resolution value of 0.57 and 1.57 29. This use of mobile phase of toluene: ethyl acetate: formic acid is similar 30 because the ratio is less precise, it is developed by changing the ratio of the mobile phase system to toluene: ethyl acetate: formic acid (4: 3: 0.5). Different mobile phase systems will also differ the polarity, where the separation process depends on the polarity of the mobile phase system that affects the value of the degree of resolution. The linearity test was performed by bottling the standard quercetin solution of 90 - 500 μg/ml by two μl (0.12-1.00 μg) on the silica gel 60 F254 TLC plate, eluted and then measured the area. From the calculation results obtained regression equation y = 9387.3x - 767.39 (r = 0.9996). It can be explained that there is a linear relationship between quercetin with bottle and area. The linearity of other researchers in the range of weight of quercetin 0.1-1.00 μg and generated regression equation y = 2.8437x + 202.43 (r = 0.9881) 31. From the results of calculations in this study, obtained limit of detection (LOD) and limit of quantities (LOQ) that is 0,018 μg and 0,060 μg. In research 31, the limit of detection (LOD) and limit of quantification (LOQ) for quercetin compounds were 0.05429 μg and 0.16451 μg. The difference of LOD/LOQ depends on the researcher's thoroughness so that if obtained by LOD/LOQ is small it will be obtained more sensitive observation. Precision in this study obtained Coefficient of Variation (C.V.) of 1.91% (C.V. Requirements <2%). Other research 31, obtained the C.V. of 6.53%. This difference occurs because of differences in the expertise of researchers, resulting in different precision 10. Accuracy is done by addition method because the matrix of artificial nature sample cannot be made. The accuracy test is used to show the percentage of the proximity of the analysis results with the actual quercetin content 10. The accuracy of quercetin in this study obtained the result of 96.6 ± 8.26% (w/w), this result has met the requirements of the accuracy of bioanalysis 80-120% and precision (C.V.) <10% 32. The result of accuracy is not much different as reported 19, obtained an average percentage recovery of quercetin of 98.6%. Application of TLC-Densitometry method for determination of quercetin content in soursop leaf extract (Annona muricata Linn.) was performed after the optimal optimum condition was obtained. From the result of the determination of quercetin content in soursop leaf extract 1.288 ± 9.996% (w/w). Reported 33, the content of the selected flavonoid as a quercetin compound in soursop leaf extract is (9.96 ± 1.53) mg/g. Differences in quercetin levels are caused by differences in sampling sites, genetic factors, growing environment, treatment during growth, and different harvest time 34-35. CONCLUSION: Standardization of soursop leaf extract (Annona muricata Linn.) contains quercetin 1.288 ± 0.1287% (w/w). RECOMMENDATION: The TLC-Densitometric method can be used to standardize soursop leaf extracts containing quercetin. Kunle OF, Egharevba HO and Ochogu P: Standardization of herbal medicines- A review; International Journal of Biodiversity and Conservation 2012; 4(3): 101-12. Ahmed S and Hasan MM: Standardization of crude drugs: a precise review. World Journal of Pharmaceutical Research 2015; 4(10): 155-174. Kumari R: A Review on the Standardization of herbal medicines. International Journal of Pharma Sciences and Research 2016; 7(2): 97-106. Patwekar SL, Arvind BS, Manoj SG, Snehal RP and Ashwini PP: Standardization of herbal drugs: An overview. The Pharma Innovation 2015; 4(9): 100-4. Pandey A and Tripathi: Concept of standardization, extraction and pre phytochemical screening strategies for the herbal drug; Journal of Pharmacognosy and Phytochemistry 2014; 2(5): 115-9. Harmita and Perhitungannya PPVMDC: Majalah Ilmu Kefarmasian 2004; I(3): 117-35. United States Pharmacopeial Convention. The United States Pharmacopeia 36-National Formulary 31 (USP36-NF31). 34st Rockville USA: United States Pharmacopeial Convention Inc. 2013. Moghadamtousi SZ, Fadaeinasab M, Nikzad S, Mohan G, Ali HM and Kadir HA: Review: Annona muricata (Annonaceae): A review of its traditional uses, isolated acetogenins and biological activities. International Journal of Molecular Sciences 2015; 16: 15625-58. Patel S and Patel JK: A review on miracle fruit of Annona muricata. Journal of Pharmacognosy and Phytochemistry 2016; 5(11): 137-48. Abbas SI, Mohammed MT and Al-Mahdi RA: Identification of some Annona muricata (Soursop) components and their antioxidant effect in rats. The Iraqi Postgraduate Medical Journal 2015; 14(4): 576-80. Najmuddin SSUF, Alitheen NB, Hamid M and Rahman NA: Comparative study of antioxidant level and activity from leaf extracts of Annona muricata obtained from different locations. Tropical Agricultural Science 2017; 40(1): 119-30. Akomolafe SF and Ajayi OB: A Comparative study on antioxidant properties, proximate and mineral compositions of the peel and pulp of ripe Annona muricata (L.) fruit. 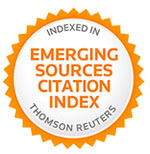 International Food Research Journal 2015; 22(6): 2381-8. Batubara I, Achmadi SS and Nurwendari W: Extraction technique to separate kaempferol from Soursop (Annona muricata) leaves. Journal of Chemical and Pharmaceutical Research 2015; 7(9S): 106-10. Tokusoglu O, Unal MK and Yildirun Z: HPLC-UV and GC-MS Characterization of the flavonol aglycons quercetin, kaempperol and myricetin in tomato pastes and other tomato-based products, Acta Chormatographica 2003; 13: 196-207. Saddiqe Z, Naeem I, Maimoona A, Patel AV and Hellio C: Assay of flavonoid aglycones with HPLC in four species of genus Hypericum. Journal of Medicinal Plants Research 2011; 5(9): 1526-30. 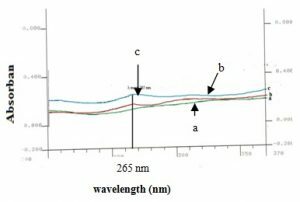 Mir SA, Ahangar AA and Bhat AS: Spectrophotometric assays for flavonoids diosmin, quercetin, rutin and morin with Copper, Molybdenum, Lead and International Journal of Pharm Tech Research 2013; 5(2): 383-90. Sanghavi N, Bhasale SD and Malode Y: RP-HPLC method development and validation of quercetin isolated from the plant Tridax procumbens Journal of Scientific and Innovative Research 2014; 3(6): 594-7. Tuszynska M: Validation of the analytical method for the determination of flavonoids in broccoli; Journal of Horticultural Research 2014; 22(1): 131-40. Bele AA and Khale A: Standardization of herbal drugs: an Overview; International Research Journal of Pharmacy 2011; 2(12): 56-60. 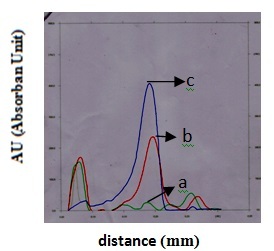 Pyka A, Buddzisz M and Dolowy M: Validation Thin Layer Chromatography for the determination of acetaminophen in tablets and comparison with a Pharmacopeial method. BioMed Research International 2013; 1-10. DOI.org:10. 1155/2013/545703. Dolowy M, Kulpinska-Kucia K and Pyka A: Validation of a Thin Layer Chromatography for the determination of hydrocortisone acetate and lidocaine in a pharmaceutical preparation. The Scientific World Journal 2014; 1-10. DOI.org: 10.1155/2014/107879. Chandrappa CP, Govindappa M, Kumar ANV, Channabasava R, Chandrasekar N, Umashankar T and Mahabaleshwara K: Identification and separation of quercetin from ethanol extract of Carmona retusa By Thin Layer Chromatography and High-Performance Liquid Chromatography with diode array detection. World Journal of Pharmacy and Pharmaceutical Sciences 2014; 3(6): 2020-9. Rohini RM and Das AK: Determination of lupeol, β-sitosterol and quercetin from ethyl acetate extract of Rhizophora mucronata bark by HPTLC technique. Asian Journal of Pharmaceutical and Clinical Research 2011; 4(1): 103-5. Joshi C, Savai J, Varghese A and Pandita N: Validated HPTLC fingerprint analysis for simultaneous estimation of quercetin, kaempferol and asatic acid in leaves of two different chemotypes of asiatic. 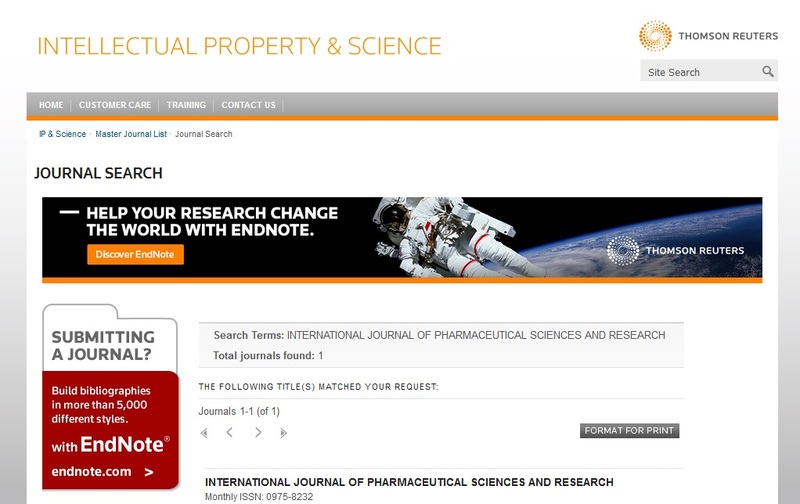 International Journal of Pharmaceutical and Biological Research 2012; 3(5): 202-12. Wang Y, Cao J, Jian-Huang W, and Zeng S: Simultaneous determination of quercetin, kaempferol and isorhamnetin accumulated human beast cancer cells, by High-Performance Liquid Chromatography. Journal of Pharmaceutical and Biomedical Analysis 2005; 39: 328-33. Pieme CA, Kumar SG, Dongmo MS, Moukette BM, Boyoum FF, Ngogang JY and Saxena AK: Antiproliferative activity and induction of apoptosis by Annona muricata (Annonaceae) Extract on human cancer cells. BMC Complementary and Alternative Medicine 2014; 1-10. Haghighi NZ and Salehi H: Comparison between the growth and development of some cultured plants among the different region of Kish Island. Journal of Central European Agriculture 2013; 14(2): 564-76. Doi: 10.5513/JCEA01/ 14.2.1238. Mustafa G, Arif R, Atta A, Sharif S and Jamil A: Bioactive compounds from medicinal plants and their importance in drugs discovery. Matrix Science Pharma 2017; 1(1): 17-26. Sudjarwo, Alfi MN and Annuryanti F: Validation and development of TLC-densitometry method for standardization of soursop leaf extract (Annona muricata Linn.) with quercetin. Int J Pharm Sci & Res 2019; 10(2): 686-91. doi: 10.13040/IJPSR.0975-8232.10(2).686-91.